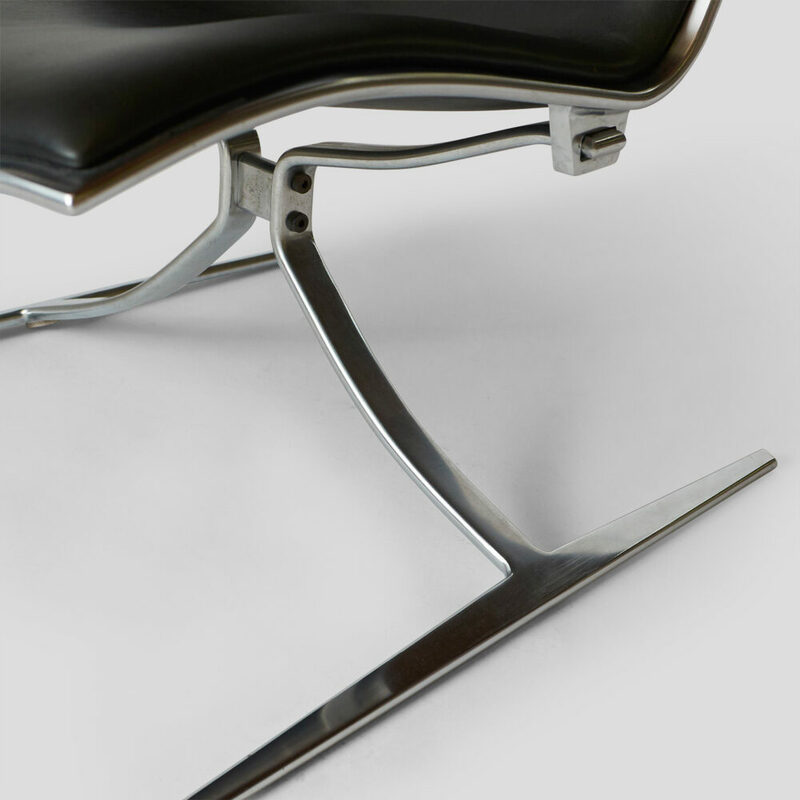 A Model FK-710 “Skater Chair” by Preben Fabricius and Jorgen Kastholm. 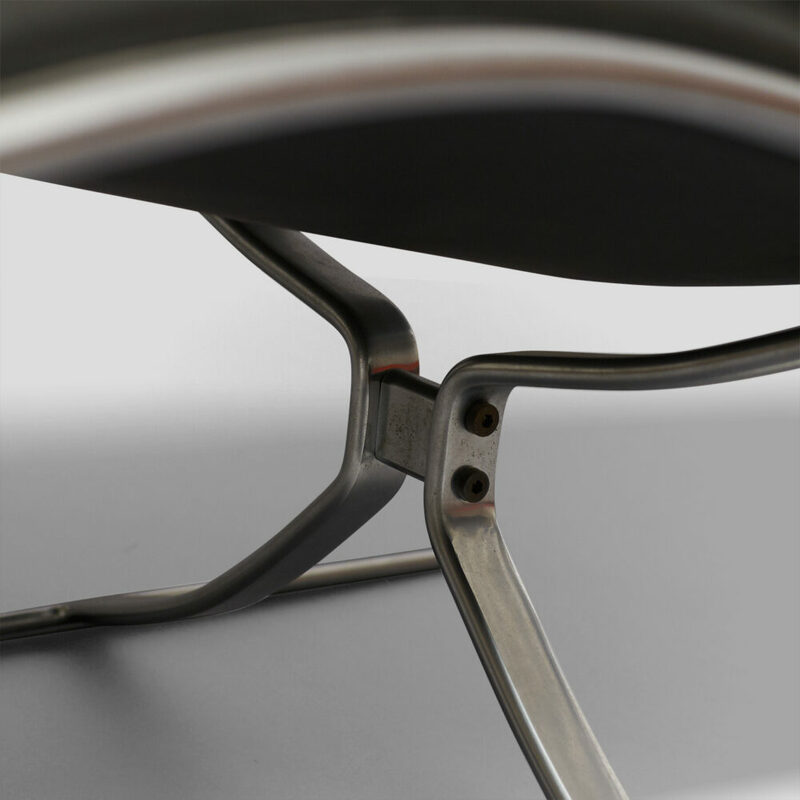 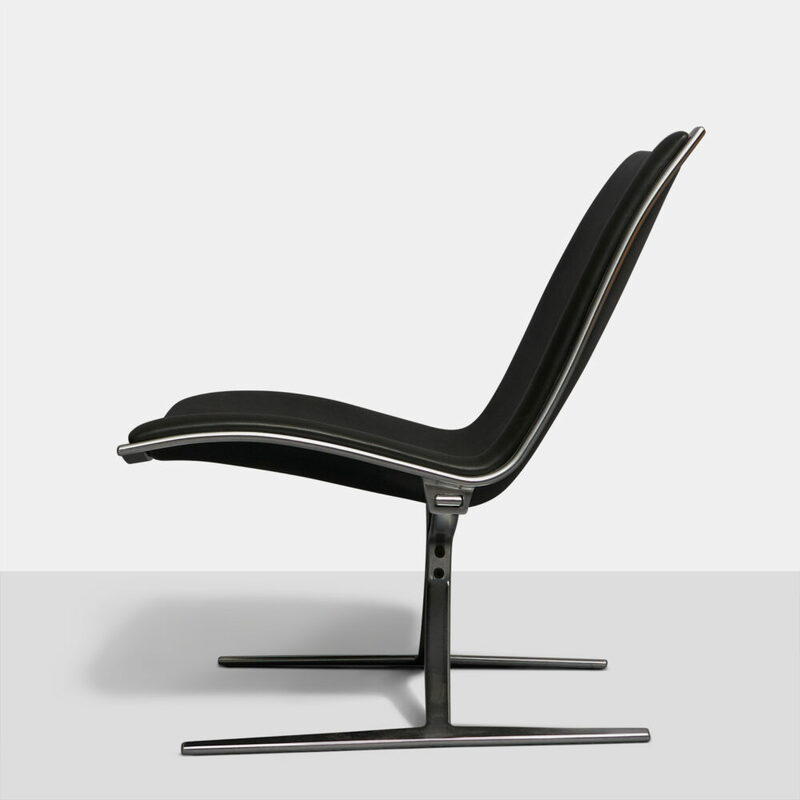 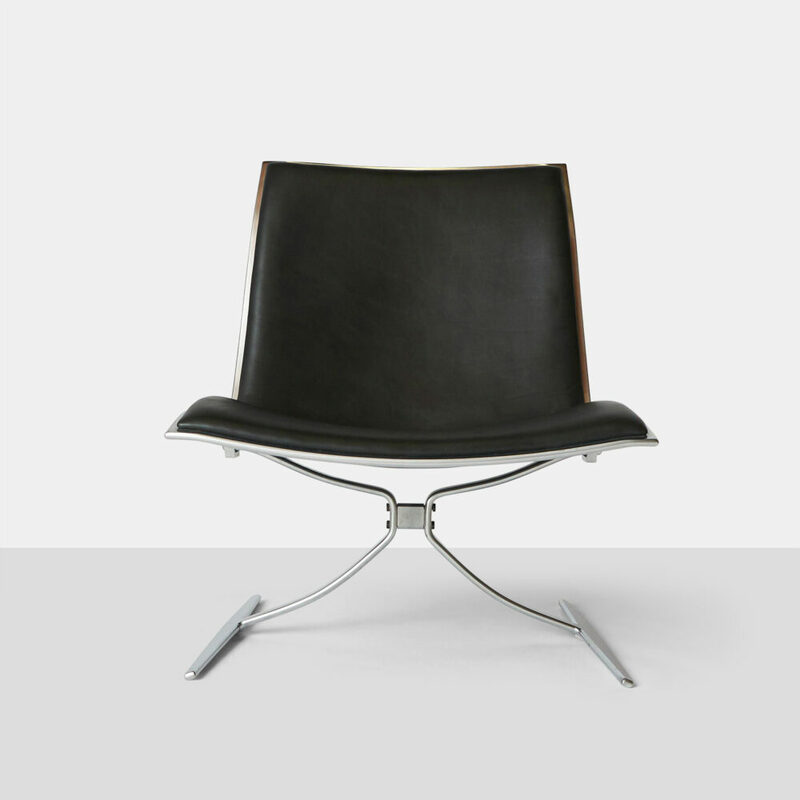 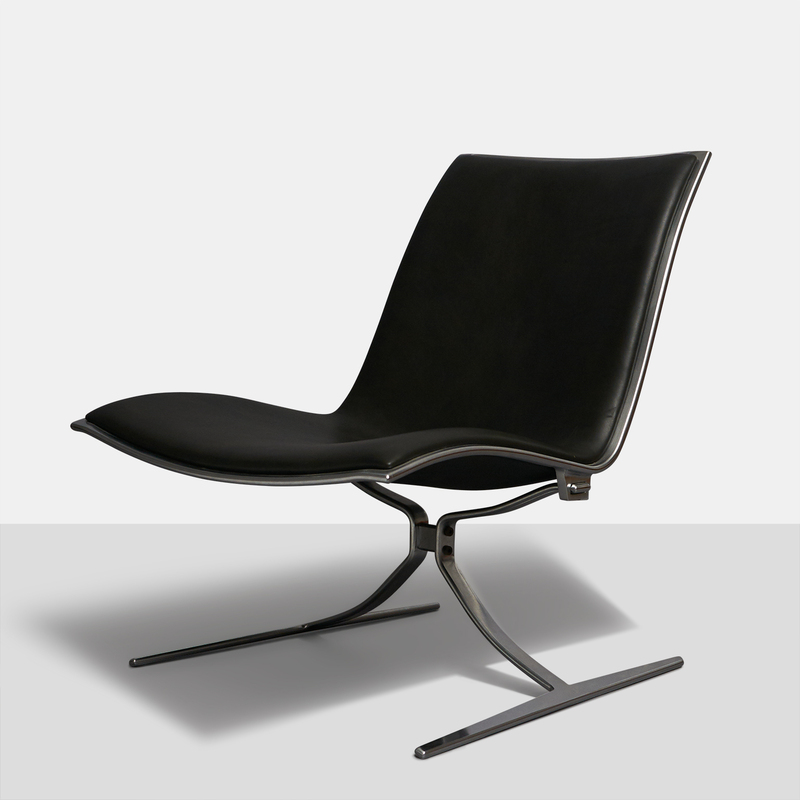 Matte chromed spring steel frame with seat and back upholstered with black aniline leather. 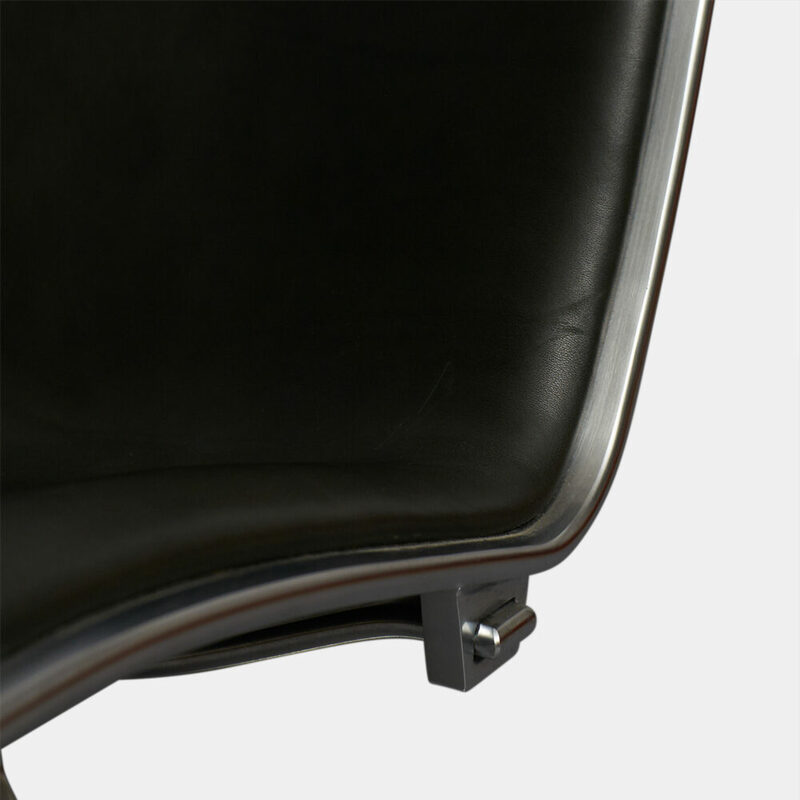 Literature: Kill International, manufacturer’s catalog, unpaginated.